The key to any solid structure is its foundation. 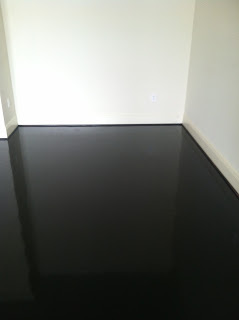 The key to any beautiful room is it's floor? In this available unit, we think so! Just think, these ebony finish hardwood floors could be the stage for your living room. The look and feel could be modern, tranditional, tropical, artsy . . . however you like it. Call Misty at 205-802-7400 to see for yourself. Hallman Hill is set among all of the charm and convenience of Homewood and combines an urban lifestyle with traditional features. Our buildings are made to look old from their first day out of the ground. Each building embodies a Homewood feel that you can’t find anywhere else. We are currently offering 1, 2 and 3 bedroom floor plans from $259,900 to $600,000! Hi my name is Misty Joseph, I am happy to help with any Sales or Leasing info for Hallman Hill. I would love to set up an appointment with you to talk more about our available homes. You can contact me at 205-807-2090 or at info@mistyjoseph.com. Thank you and looking forward to meeting you soon! NEED NOT BE BUILT. DEVELOPER RESERVES THE RIGHT TO MODIFY THE PLANS, HOME DESIGN, MATERIALS, FEATURES, AMENITIES, AND/OR METHODS OF CONSTRUCTION WITHOUT NOTICE. THE INFORMATION AND MATERIALS DESCRIBED AND DEPICTED HEREIN, ARE INTENDED TO PROVIDE GENERAL INFORMATION ABOUT PROPOSED PLANS OF THE DEVELOPER AND ARE NOT INTENDED TO CREATE ANY WARRANTY OR CONTRACT RIGHTS. ALL DIMENSIONS ARE APPROXIMATE.